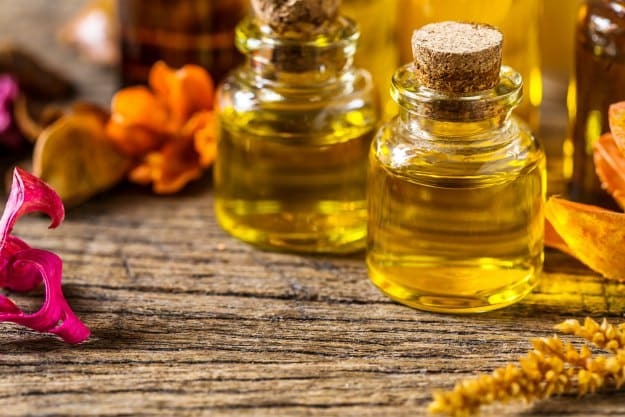 You may notice shelves of essential oils invading your local, natural health store as of late. 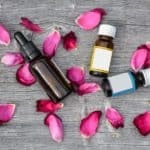 Though it feels like a recent trend in the wellness world, the utility of essential oils really dates back hundreds, if not thousands, of years. 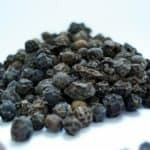 Plants, citruses, and flowers can be expressed, cold-pressed, or as of the eleventh century, distilled to leave behind their inherent essence (hence the name “essential”). What about aromatic molecules and their respective plants have so many of us adding oil diffusers to our Amazon shopping carts? Below, we’ll dive into this more, find out how to safely and properly use a diffuser, and decide what to look for when picking essential oils to diffuse. Let’s consider one of the most popular essential oils to diffuse, both for its fragrance and calm-inducing effect: lavender oil. Whether at home, the office, or even in the salon – lavender oil naturally deodorizes rooms, leaving behind that intensely pleasing, signature scent. The appeal does not stop there, though. Many people use lavender oil, because of the alternative remedies and benefits within. 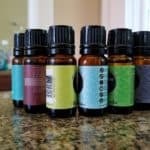 When you diffuse essential oils into the air and inhale them, the aromatic molecules rise to the top of your nose where they meet the olfactory membrane. Here, thousands of receptors wait to absorb them. When your nose catches the scent of lavender (absorbing those molecular compounds), the sensory stimulation travels to your brain where it can help mitigate migraines, headaches, depression, nervous tension, or emotional stress. Its impact on the autonomic nervous system has been proven to assist with both the duration and quality of your sleep. 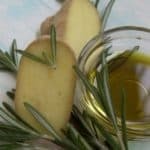 As another example, rosemary oil improves concentration and assists with depression, as well as strengthens the immune system. Regularly diffusing rosemary oil allows the immune-supportive properties of the rosemary plant to be inhaled and put to good use. When it comes to your own wellness, every little bit helps! While there are different types of oil diffusers, by in large, they accomplish the same thing. Diffusers break up a few drops of an essential oil into tons of microparticles, then they disperse them into the air. Some diffusers do so with or without water, some with heat like a humidifier, or some via evaporation. Do sufficient research on the different diffusers available, and what your needs may be (such as large room size coverage, humidity control, a program timer, etc. ), before purchasing one. While a humidifying diffuser may seem attractive, you’ll want to make sure the oils you select won’t cause deterioration to the water reservoir or build up as a result of the heat. Ultimately, you’ll be breathing in whatever’s inside the diffuser’s tank, so purity should always be a primary factor. 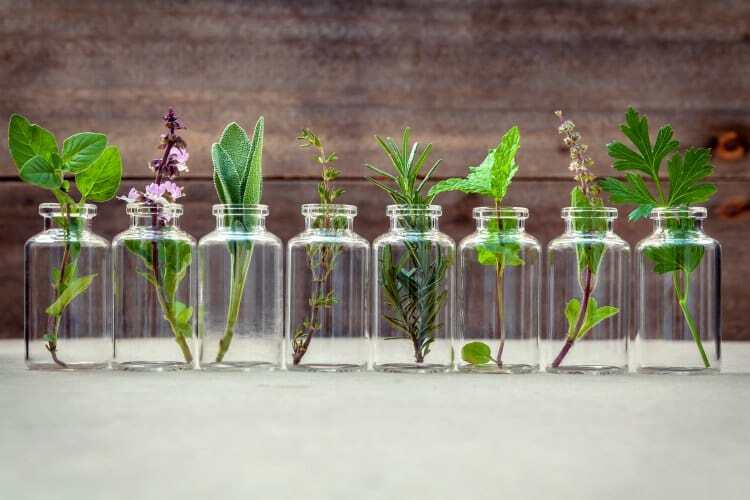 Unique to each plant, the fragrances and therapeutic abilities of different essential oils have varying physiological and cerebral benefits. When used correctly, an essential oil diffuser can soothe and release stress, improve depression symptoms, stimulate the body and mind, provide relief to sore muscles, or even clear up a cough. There are so many benefits to each variety, it can almost be overwhelming when determining which to take home! Lemon oil naturally removes harmful pathogens from the air, not to mention it kills odors. Ylang-ylang oil, considered the love aroma, balances romantic energies, while also acting as an aphrodisiac. Diffusing peppermint oil relieves congestion and stuffiness, while lemongrass oil repels pesky insects. Simply put, there are a great and many restorative and boosting essential oils to diffuse. It’s incredibly important to know what you are diffusing, which applies doubly to store-bought blends. If someone in your home is allergic to rosemary, be sure the blend you just bought does not contain rosemary oil! When shopping for the right essential oils, make sure to check for a few details. First, you want to find bottles with informative labels. The first three points on the label are self-explanatory, but it’s worth noting that farming quality is incredibly important. Chemicals and pesticides are not fit for your breathing air, and should be avoided! It may be as simple as labeling that reads “Wild Harvested” or “Organically Farmed”, but it makes all the difference. Secondly, you’ll want to find brands that employ the Gas Chromatography and Mass Spectrometry (GC/MS) test. 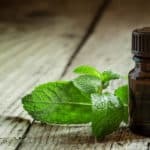 Currently, nothing stops an essential oil company from printing ‘100% pure’ on the bottle, even if they have used synthetic fragrances or lesser oils to save costs. For example, using litsea oil in place of lemongrass – this is called adulteration. The GC/MS test analyzes the compounds of the oil to determine purity. Some companies may be passing un-pure oils on to customers when bypassing testing. Buying batch tested oils from trustworthy companies is another vital step in responsible diffusing. There are some very real health risks in inhaling synthetic fragrances, so purity is a big deal. The storage of the oils should also be at the top of your mind. Dark glass containers kept in cool places ensure the best shelf-life for your oils. These volatile compounds can break down quickly in the heat, excessive sunlight, or with too much exposure to oxygen. Many labels will let you know how long an essential oil will keep its potency, but some do not. You may find it helpful to write down the date when you open a bottle. Remember, essential oils are aromatic compounds extracted from the seeds, bark, stems, roots, and flowers of plants. When diffused, these small organic molecules interact with sensors in our nose where the aroma and inherent benefits of the plant are absorbed. A household filled with the calming fragrance of lavender is magical, but it is important to remember that diffusing essential oils is not merely about their scent. They have therapeutic properties, the ability to impact our brain function, and also very real safety implications. It is important to ask the right questions from your healthcare professionals, read all labels, and be mindful of recommended dosages and quantities. When properly utilized, diffusing essential oils is a blissful and simple addition to anyone’s wellness regimen. Happy diffusing!